Since I have been house bound for weeks, I have tried to start counting my Blessings more. Why? Well for starters, it doesn't take long to forget all your blessings and focus on all your problems when you feel really bad. I am amazed at how hard being sick is...on me spiritually. I have a hard time focusing on anything and discouragement is much easier to think of when you are really sick. So when I found this article ( from one of my favorite authors ) I decided it needed to be my blog tonight. My sleeping ours have gotten so mixed up since I have been sick. When I stay up half the night coughing or trying to catch some air, then I find myself sleeping in late. Really what did I have to get up for? Empty house, 10 or so more hours to myself...loneliness 101 was killing me! Yesterday I started a steroid to help my lungs. They told me not to take it too late or it would keep you up all night. Jeff picked it up for me and I took it at 2:00pm, guess what? That was too late and true to it's word...I was up all night. Finally got to sleep at 4:00 am. Woke up at 7:00 am and decided to take todays dose right away, then I went back to bed. So I am making sure I am really tired tonight before I head to bed. I need to sleep to heal. I need to heal to have a LIFE! But good news...I did feel much better today and even felt like drawing and making some Valentines! Bad news...Jeff is starting to come down with it, my first thought...I hope he doesn't give it back to me? I know, that was a selfish thought. I have been ALONE way too long! I am excited to hopefully have another day to feel like doing something ( yes, Little ) but something! Good night dear friends, I count you all as my blessings...every day! I’m something of a worrier. I worry about our country, my kids, my half-written books, my friends, my mother, money and time. I even worry that I won’t have time to do all the worrying I’ve already scheduled for 2014. A few nights ago, with the house fast asleep and the only sound my snoring goldendoodle, I stared at the ceiling and considered the year that now slips into the night, soon to be replaced by the bright dawn of 2014. It’s been a challenging year, more than most in my life might realize. Two long-awaited film projects — “Christmas Jars” and “The Wednesday Letters” — that finally seemed poised for takeoff, fizzled. Again. One publisher declined to work with me because they feared my faith (The Church of Jesus Christ of Latter-day Saints) would scare away Christian bookstores who have a history of not selling material produced by members of my faith. Other exciting projects were put on hold over legal concerns or technology challenges. Dear friends have died too soon. Others have divorced or separated. Those thoughts and many more marched slowly through my mind, like anxious soldiers heading to a war they know they can’t win. Then, without warning, I seemed to find a long-lost thought hidden in the clutter of my head. It was like that one missing present, wrapped and hidden for Christmas, but misplaced until after the day has come and gone. Before I drifted into the gray space between restlessness and REM, I challenged myself to count six blessings that filled 2013. When I was done, when I had measured them against the trials, bad luck and heartache, it was no contest. First, my mother had a health scare that could have ended very differently. Instead, she’s happier and healthier than she’s been in ages. The year nearly began another era of a parent fighting cancer. Instead, 2013 became the year my mother finally learned to use Facebook. 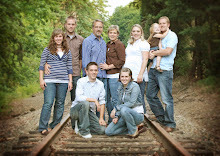 Third, my sister, her husband and their six children had their Maryland home invaded and burglarized while they slept. During the cleanup the next morning, they discovered a large, missing butcher knife the criminals dropped on the floor before leaving. Had one of them awakened during the crime, they might have lost much more than a laptop, television and some jewelry. Fourth, in 2013, I saw more friends and family called to serve missions than at any point since my own mission in 1990. All have served honorably and with distinction. Dearest among them is my niece, called to serve a Spanish-speaking mission for the church in Tucson, Ariz. Her righteous service has lit a fire in her immediate and extended family and weekly emails and letters home are a gift that keeps on giving — each and every Monday. Fifth, though financing for “Christmas Jars-The Movie” fell through yet again, the tradition itself continues to grow. We received more accounts of jars being given and received than ever before, in many cases as direct answers to urgent prayers. The movement is alive and well and 2013 reminded me just how much the story has touched my family. Sixth, perhaps the greatest blessing of all is my increased faith that God knows me, loves me and wants me to return home. 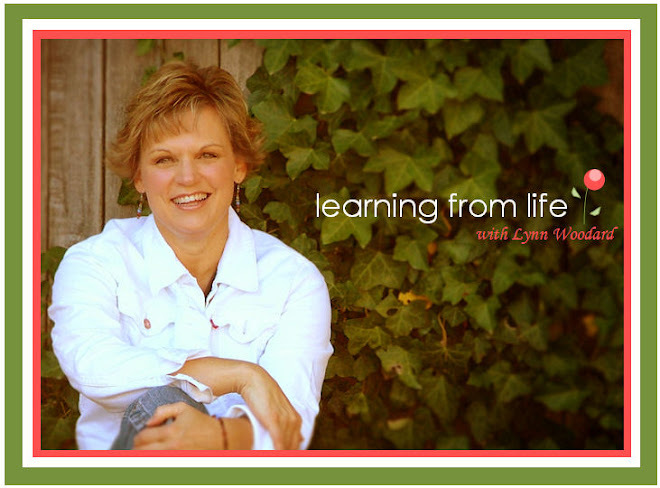 Through prayer, study and action, I’ve learned so much about my relationship with my Savior. I have miles to go in understanding His divine role in my life, but I count chief among my blessings the indisputable fact that my Father in heaven hears my prayers, even on the nights I worry He can’t. Wow! It’s been a better year than I thought. I wonder, with my six blessings having moved from mind to paper, how many more I could count. Even in the worst of times, even when the day seems to have been lost to bad decisions, misfortune or the ill will of others, are there not blessings to be found? Do those blessings not predict a brighter day, month and year ahead? As you ponder your year over your own shoulder, as you worry about the things gone wrong and the opportunities missed, why not take a moment to marvel at all that went right? Please, at any point along the way, feel free to borrow number six from my own list. I promise He loves you, too. So, are you up to the 6 Blessings Challenge?